HELSINKI Security guards stopped a knife-wielding man on Monday from approaching Finland's prime minister while he was campaigning for municipal elections, government officials said. "The man was stopped before he reached the prime minister. He didn't have time to stab him," Kari Mokko, a government spokesman told The Associated Press. 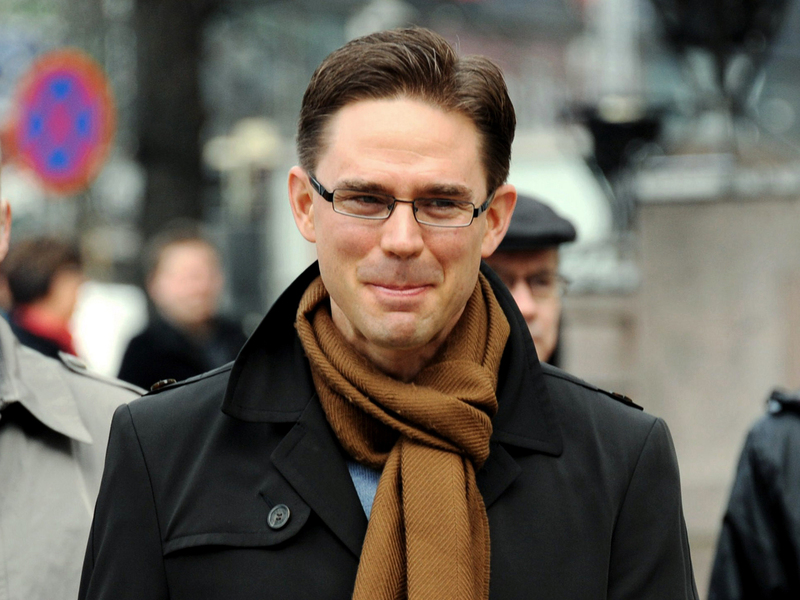 The incident occurred in the southwestern city of Turku, where Prime Minister Jyrki Katainen was campaigning ahead of Sunday's municipal elections. Mokko could not give any details on the suspect. He said the prime minister was not hurt. Robert Seger, a Finnish newspaper photographer who witnessed the incident, said the man dropped to his knees in front of Katainen, holding a knife, but didn't attack him. "He was trying to get Katainen's attention," Seger said. The government's security chief Timo Harkonen told Finnish broadcaster YLE that the prime minister's security contingent "prevented it from becoming a dangerous situation." Finnish news agency STT said police apprehended the man, who was behaving in a confused manner.